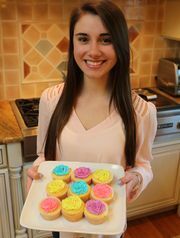 About 3 weeks ago I was featured on the Lohud’s The Journal News for an entire article about my blog! I really didn’t think it was going to be as big as it was, but I was ecstatic. My friends and family from all over Westchester were so excited for me and shocked to see my face right on the front cover. Thank you to everyone that has supported me and my blog and those of you that have made my stats explode since the article in the newspaper! Please go check out the article if you haven’t already! (Link below).